Way back in November, we were thrilled to announce that indie rock singer-songwriter Father John Misty would return to Nashville on March 25, for a performance at Marathon Music Works with King Tuff. Since then, the singer (also known as J. Tillman) dropped his sophomore album, I Love You, Honeybear, which we’ve been rocking on repeat, and is sure to show up on just about every end of year list imaginable. Honeybear has us even more excited for the show, if that’s even possible, so, in anticipation, we’re pleased to announce that we’re giving away a pair of tickets! Read on for details, or just head here to buy yours now, because it’s sure to sell out! Formerly known for his brief stint as the drummer of Fleet Foxes, Joshua Tillman began releasing solo efforts as J. Tillman around a decade ago, before he rebranded himself Father John Misty beginning with with 2012’s incredible Fear Fun. Back with another dose of excellence, Tillman’s latest, I Love You, Honeybear, is another sweeping exploration of indie rock and folk with psychedelic tendencies and sweeping, gorgeous instrumentation. Father John Misty is a true gem in the current indie landscape, and his live show, which we caught when he last passed through in 2013, is breathtaking. Don’t miss out this time around! Another No Country favorite, garage/indie rocker King Tuff is a nice grittier, more upbeat yet still as melodically sound and genre-bending compliment to Father John Misty. His latest, Black Moon Spell, dropped last year via Sub Pop, and even featured another site fave, Ty Segall, on drums. Winner will be announced Tuesday, March 3 at 5 p.m. CST, and will receive one pair of tickets. Good luck! 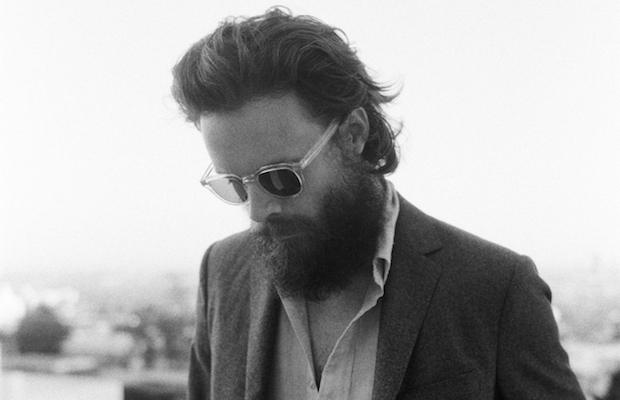 Win Tix to Father John Misty at Marathon Music Works! Father John Misty and King Tuff will perform Wednesday, March 25 at Marathon Music Works. The show is 18+, begins at 8 p.m. (doors at 7 p.m.), and tickets are available to purchase for $20-22.